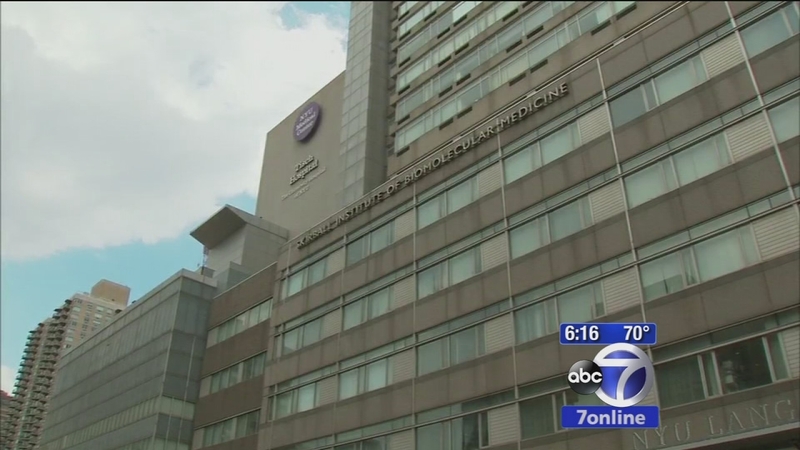 Lucy Yang has the latest details from Midtown. 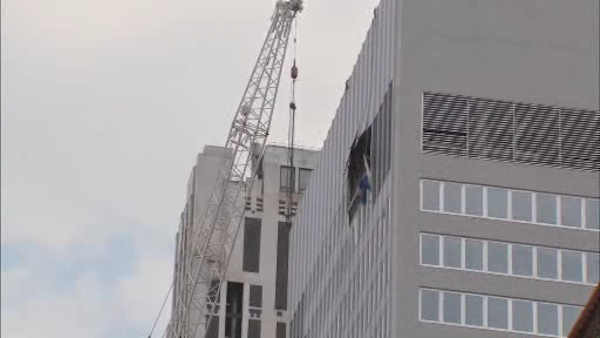 NEW YORK -- Seven people, including two construction workers were injured when an air conditioner, being lifted by a crane at an office building in Midtown Manhattan broke free and fell about 28 stories to the sidewalk below. As a result of the accident, motor vehicle traffic was still banned Sunday night from 34th to 42nd Street, from Fifth to Park Avenues. Pedestrian traffic is banned from 37 to 40th Street, from Fifth to Park Avenues. There is no word on whether traffic will reopen for the Monday morning commute. One second it was sunny and clear, the next you could barely see in front of you. "We were preparing all the food and next thing we see a ball of dust, it covered the entire street," said eyewitness Yashyra Gonzalez. A wave of metal, concrete and glass fell from 261 Madison Avenue - office chairs from inside the high rise ended up on the sidewalk. Cars along the street were hit with chunks of debris. A crane trying to lift an air-conditioning unit dropped it Sunday morning at a building on Madison Avenue. "We heard an initial crash, and then some rapid-like firecrackers going off, a pack of firecrackers," said David Katz. The initial crash, officials say, was the sound of a huge air conditioning unit slamming into one part of the building. Crews working on the building were using a crane to move the enormous piece of metal into the new high rise. They're trying to put this piece of mechanical equipment into the the mechanical equipment floor, which is on the top floor of the building," said FDNY Chief Ron Spadafora. Way up on the 30th floor, the load dropped, hit the structure, and then tumbled down the tiered section. Each time it collided, it brought down parts of the building. "There are a lot of setbacks in front of that building, and we're lucky this piece of equipment didn't fall directly into one of these set back roofs and go through the building," Chief Spadafora adds. However the facade was clearly heavily damaged in several spots. Officials say, because such a delicate operation was underway, only one lane of Madison Ave. was open. The Fire Department and Buildings Department are now examining surrounding buildings to determine if any are structurally compromised. Mayor Bill de Blasio, speaking to reporters on Madison Avenue a block from the accident, called it "obviously, a very serious incident." Of the seven people who were injured, two were construction workers while the others were pedestrians and occupants of a car passing by, de Blasio said. All were struck by debris the falling crane knocked off the building facade as it struck the edges of lower floors that protrude from the tower, in a step-wise manner. Renee Stoll has the latest. "Thank God, this incident occurred at an hour of the day on a weekend when there were not too many people around," de Blasio said. Eyewitness News understands several lanes of Madison Ave. were closed before the crane began raising the air conditioner. Now, some are questioning why all lanes were not closed. (Some information from the Associated Press).